Do Most People Get It? Over the last few months helping people build their business to the next level one thing has continued to come up. I wanted to share this with you because I have a strong feeling that most people online keep running into brick walls and just don’t get it. It’s honestly not your fault either with so much mix information out there and promises of riches for doing nothing it’s often hard to see the overall picture and what you need to be doing to make money online. Now this tactic goes for just about any business online or offline so here is the quick 101 version of what you should be doing. I wrote a more detailed report you can grab by clicking here. Sales Funnel / Break Even – A sales funnel is the system you use to drive people into your email list and also to create you buyers list. You squeeze page is a free optin for more information and that more information has value but is also your sales copy for your next product. This product should be a break even product which means for every dollar you put in you should be making about a dollar or a little over it back. (I know your thinking right now this makes no sense but let me explain) Your break even is building your list and allowing you to latterly have a endless supply of traffic coming to your squeeze page. If you can break even on it you now have a massive list with little to no time invested. Build a list – Why anyone would want to go for a lower end auto responder and so call save $10 -$50 a month is beyond me but I see it happening all of the time. Your list is the most important thing to making money online and by buying some crazy offshoot name auto responder you could be hampering your open rates and overall killing your results. Is that really work $10- $50 a month when you could be reaching more and selling more? With that being said the trust autoresponder I have been using for the last 10 years now is Aweber now im not saying this is the only good one there are others but this is the one I have used over the years with no issues. A key part of this funnel is something that Aweber allows which is the pass though of single optin (simply means if they already are on another list you can pass them though with no confirmation email to another list) This is important because you’ll be adding people to a secondary buyers list based on them ordering your break even product. Backend Offers – Now that you have the list it’s time to push like products or your own products. Offer specials, discounts, limited time offers and more. With your list it now costs you nothing to connect with them and place offers in front of them result in sale after sale. You can also sell big ticket items here too since you already built a relationship with your list. As you can see this post was getting rather long so I went ahead and created a more in depth detailed report which you can pick up here. No not everyone Get it ! I would like to advertise my products and contact affiliate marketers. I have written 4 ebooks which I want to market to affiliates. What do I do next? Well, not a lot do ‘Get it’ Sean… me was one of them! Took me an age to figure… then get something done! the process is simple but gets so over complicated, but here you master the points that people need to understand to get going ‘forwards’really well! If I can just add a terrible word? ahem…’work’… it takes work to build anything, but knowing how to build as you’ve more than adequately shown here gives the chances of being successful in what you do a more realistic chance of materialising! Buryl, depending on what your ebooks are about you need to create some type of affiliate plan to give commissions to those that promote your book. Either that or have a whats in it for me factor. 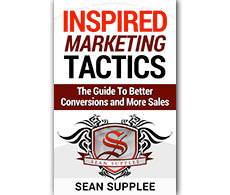 If your ebook supports an affiliate marketer they might go out of their way to promote it to their list. One other option is to buy ezines or solo ads from the targeted niche to promote your ebooks and build your email list. My next blog post coming out on Tuesday October 7th will go over a way to do this.